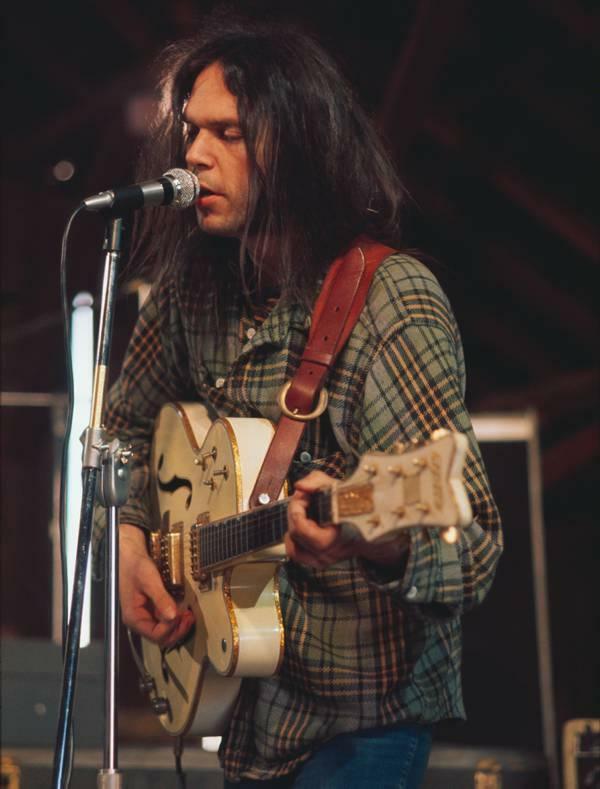 I’m just about finished Neil Young‘s autobiography, Waging Heavy Peace. It’s an annoying read, but now I’ve come this far, I need to finish it. I love old whiny Neil, I really do, but his book goes about dispelling the myth behind the man faster than the man himself was able to hoover up the white stuff backstage during The Last Waltz. The chapters jump from one time and place to another time and place and back again with random abandon (which I don’t mind) but the content therein just bores me. There’s just not enough background information on the kind of stuff I’d expect most Neil Young fans to be interested in. For every “The day I wrote Cinnamon Girl…” you get half a dozen finger-pointing one-sided arguments on the benefits of the electric car Neil’s been designing for the past 390 or so years. For every “We had a lotta fun, I got another STD” tale of woe you get a step-by-step account of his shopping trip to Costco. Really! For every “Oh man! Let me tell ya about this one time in the Springfield…” you get seventeen lectures on the rubbishness of mp3s. Indeed, ol’ Neil’s got a big shout for himself. He’s offered to help Apple improve the sound quality of their music files and much of his book reads like a particularly crass advertorial. He takes folk out to his car (always a ’51 this or ’67 that, never a B-reg Cortina) and plays them music through his self-designed PureTone/Pono audio system that he hopes will become the leading portable audio player on the market. Whatever, Neil. Just tell us more about the Ditch Trilogy and your guitar sound on Weld, and much, much less about the movies for Human Highway and Prairie Wind. Much like his music, where great album is followed by mediocre shelf clutter (for every pearl, there’s a Pearl Jam, perhaps? ), so too his story alternates between revelation and exasperation. He does admit that he shelved too many good albums in the 70s at the expense of at-best average ones. Maybe he should’ve got himself an editor who could’ve told him likewise about the output of his writing. Young wearing yer actual After The Gold Rush jeans. Press ‘Play’ to hear groovy 60s Reprise Records radio promo ad. 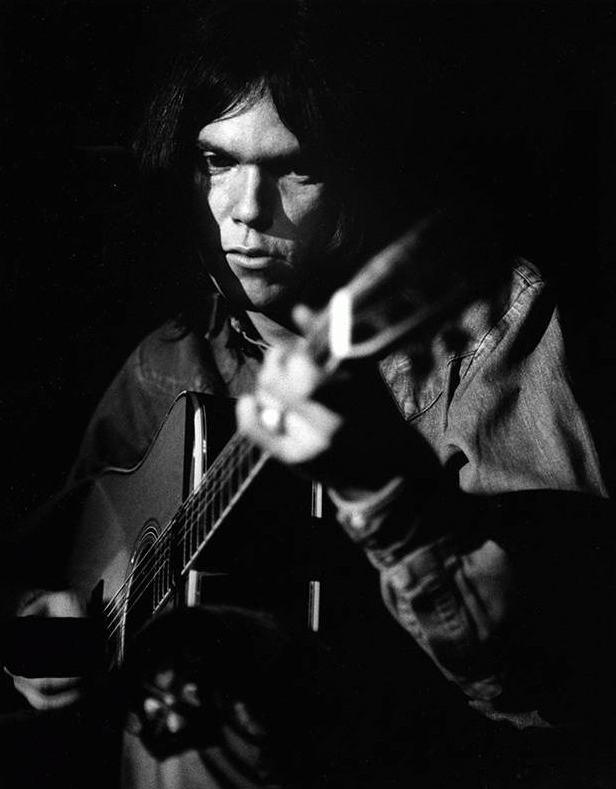 At the end of the 60s, Neil Young found himself living in Topanga Canyon, overlooking the Pacific Palisades in the Santa Monica Mountains. A liberal, boho-rich 60s community of artists, actors and assorted creative types, it lent itself perfectly to Young’s own creative, carefree spirit. 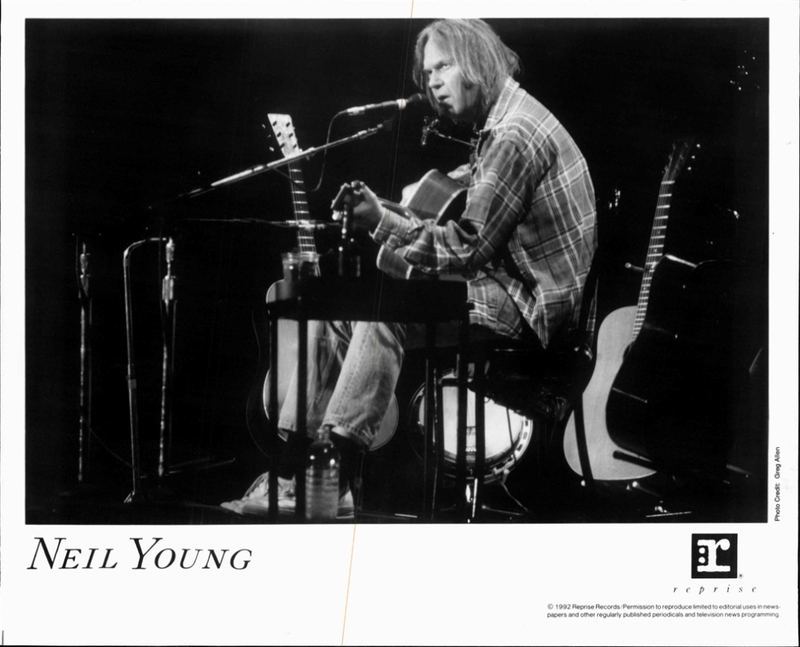 Here, he would pen many of the songs that would later become staples of his catalogue and live set. Sugar Mountain. I’ve Been Waiting For You. Helpless. Tell Me Why. Only Love Can Break Your Heart. All materialised in some form or other in this period. Not bad going for a 24 year old song writer. Amongst his ouvre during this time was Birds. Birds is not that well regarded in what is undoubtedly a gold-standard catalogue, but it should be. Eventually appearing on his 3rd solo outing, 1970’s After The Gold Rush, Birds found itself sequenced mid-way through side 2, sandwiched between acoustic Neil nugget Don’t Let It Bring You Down and the electric Neil ‘n Nils Lofgren guitar duellin’ When You Dance You Can Really Love. Birds is a great wee song; downbeat, introspective and yearning with a terrific backing vocal from the assembled Danny Whitten (who’d be dead from heroin in 2 short years), Crazy Horse’s Ralph Molina, old partner in rhyme Steven Stills and the afore-mentioned 18 year old wunderkid Nils Lofgren. A few weeks ago, when the news of HMV’s decline was made public, I found myself shamelessly plundering their website for keenly priced booty. 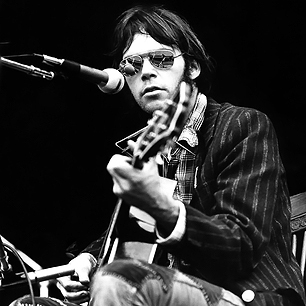 Top of my wish list was Neil Young’s Archives Project, the catch-all, multi-disc labour of love that had been assembled by Young himself after trawling years of tapes from his own archives. At £200+ a pop it was one box set I could never justify purchasing. I’d already acquired it via other means (I’m sure you know what I mean) but the real deal offers updates via the web and enough interactive material to satisfy even the keenest of Rusties. Sadly, HMV had none to sell, so the mp3s above are taken from my own slightly more dodgy archives. Be careful not to play them too loud, though, or old Neil will be round in his car, the ’62 Chevy perhaps, or the ’78 Jensen, to make you listen to how they should sound on his latest hi-spec audio player. And he’ll probably charge you $250 for the meet-and-greet privilege. Hippies, eh? From the throwaway and listened-to-less-than-once-before-being-filed-away-waste-of-his-time-and-my-money Studio 150 covers LP (phew! ), here’s Paul Weller, in full-on white man sings Otis guise doing a fine version of Birds. Perhaps a reappraisal of Studio 150 is required. Next postGuy Chadwick Once Tried To Kick Me Full In The Face But I Deserved It So I Did. I didn’t fancy this book at all and you’ve confirmed why. Good post. Yep. Neil can be contrary at times. I’m still debating whether or not to part with the cash for his Glasgow gig in June. Cometh the day, cometh the hour, I’ll have made my choice one way or t’other.